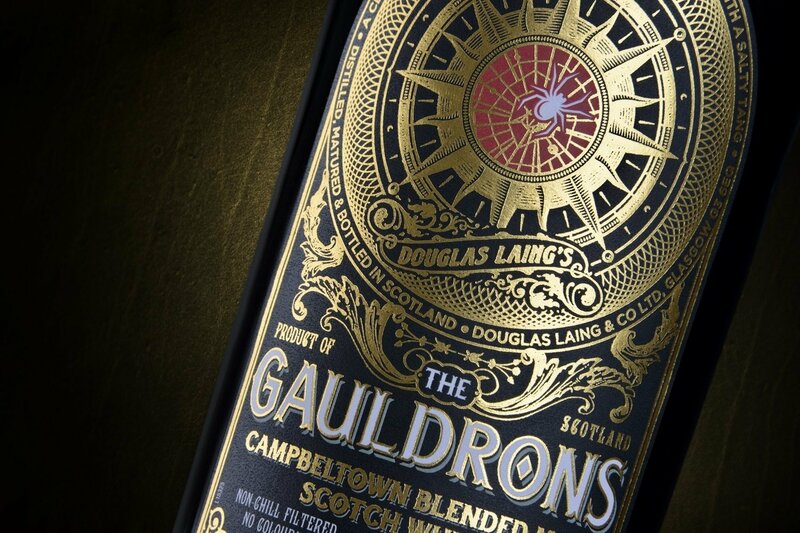 Inspired by ancient folklore, the label features an intricate spider’s web illustration, which takes its cue from King Robert the Bruce and the famous spider story. 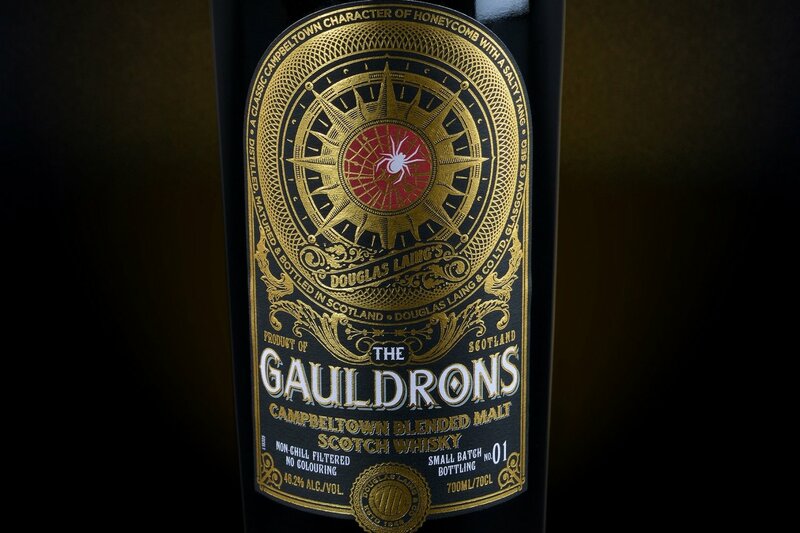 The Gauldrons is a vatted malt exclusively from Campbeltown and produced in very small batches by distiller Douglas Laing & Co. The initial brief was to create a dark, eerie Halloween design, where the detail of the foiling was key to the overall look and feel of the label. Super white opaque material was chosen to provide a handcrafted finish. The brilliant white of the material meant that a dense black could be used, which allowed the ‘Gauldrons’ name style to hold up well against the foil. The thickness of the white material also allowed for a better emboss, providing a more premium look. 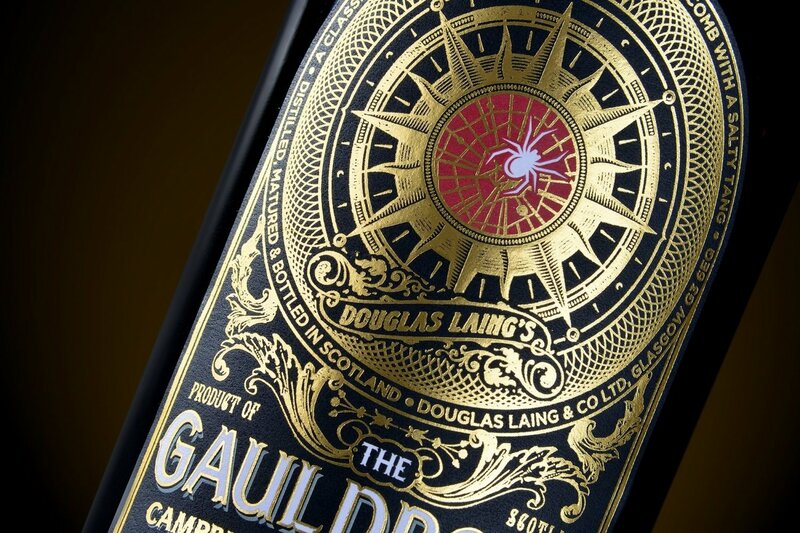 The end result is a rich dark label, which emphasises the central web area due to the complex foiling surrounding it.